Paris, 3 August- Sunken coral islands, floating rainforests, giant undersea volcanoes or even spires of rock resembling sunken cities: none of these sites can be inscribed on the World Heritage List because they are found in the High Seas, outside of any national jurisdiction. A report launched today by UNESCO’s World Heritage Centre and International Union for Conservation of Nature (IUCN) explores the different ways the World Heritage Convention may one day apply to these wonders of the open ocean, which covers more than half the planet. 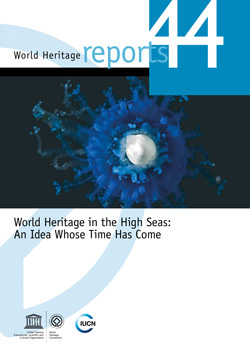 Titled World Heritage in the High Seas: An Idea Whose Time has Come, the report presents five sites that illustrate different ecosystems, from biodiversity-rich areas to the natural phenomena that can only be found in the depths of the ocean. Each of these sites could be recognized as having outstanding universal value, a key principle of the World Heritage Convention, where spectacular qualities of certain sites are seen to transcend national boundaries. 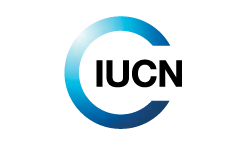 The five sites discussed are: the Costa Rica Thermal Dome (Pacific Ocean), a unique oceanic oasis, which provides critical habitat for a thriving marine life, including many endangered species; the White Shark Café (Pacific Ocean), the only known gathering point for white sharks in the north Pacific; the Sargasso Sea (Atlantic Ocean), home to an iconic ecosystem built around a concentration of floating algae; the Lost City Hydrothermal Field (Atlantic Ocean), an 800 meter-deep area dominated by carbonate monoliths up to 60 meters high; and the Atlantis Bank, a sunken fossil island in the subtropical waters of the Indian Ocean. “Just as on land, the deepest and most remote ocean harbors globally unique places that deserve recognition, just as we have given to the Grand Canyon National Park in the United States of America, to the Galápagos Islands in Ecuador or the Serengeti National Park of the United Republic of Tanzania,” stated Mechtild Rössler, Director of UNESCO’s World Heritage Centre, in the preface to the report. Although these sites are far from our shores, they are not safe from threats, whether it be climate change, deep seabed mining, navigation or plastic pollution. For these sites to benefit from the recognition and protection of the World Heritage Convention, adjustments to the inscription process will be necessary, since only countries can propose sites for inscription, and these zones in the high seas do not fall under any national jurisdiction. The report explores three ways in which the protection of the Convention could be expanded to protect these zones in the high seas. This publication was made possible thanks to the Khaled bin Sultan Living Oceans Foundation, the French Marine Protected Area Agency and Jaeger-LeCoultre. The initiative also received support from the Nekton Foundation. +33 (0) 1 45 68 17 72.